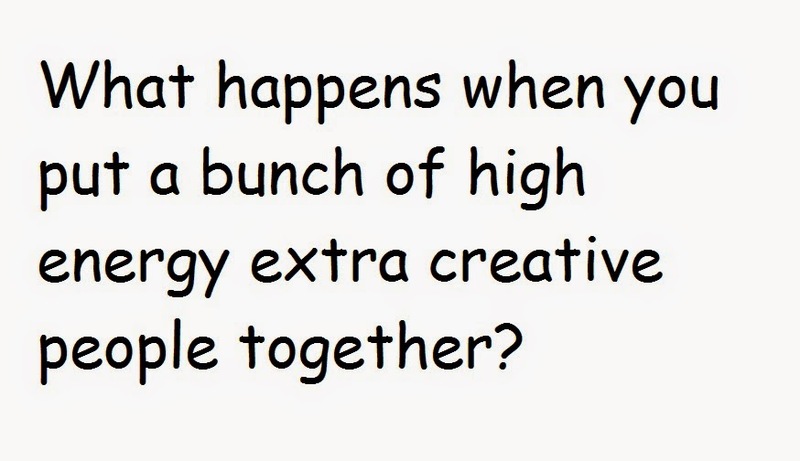 I was looking through some old posts and I realised that I start with "So" ever so often that I am now trying to find new ways to start a post. Just saying Hi, seems kinda boring to me. 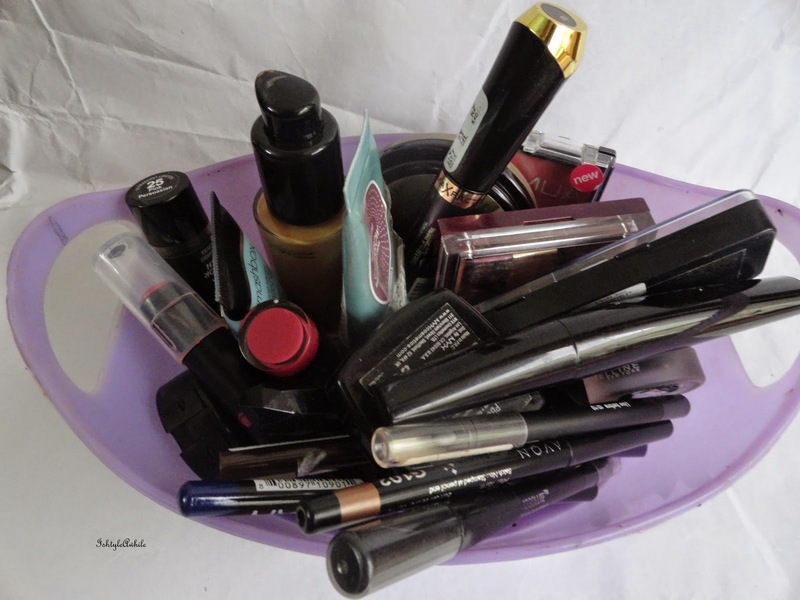 1) I suddenly realised that my makeup collection has really grown and I am not doing justice to a lot of products. I end up falling into a rut and using the same things again and again. 2) I keep saying that I will review products but then I ending up pushing them into the background when something new comes and I forget to review it. The idea is simple. 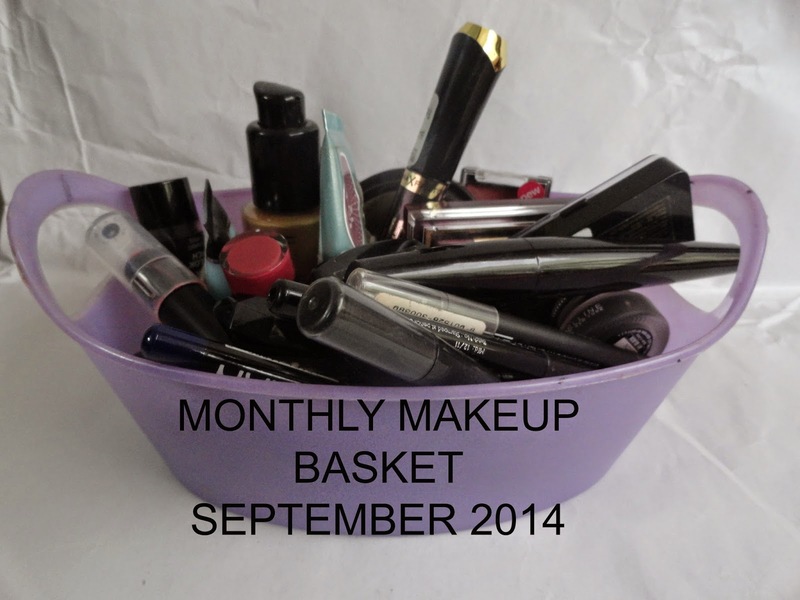 I have a bunch of products, in a basket very obviously, and I intend to use only those products for an entire month. 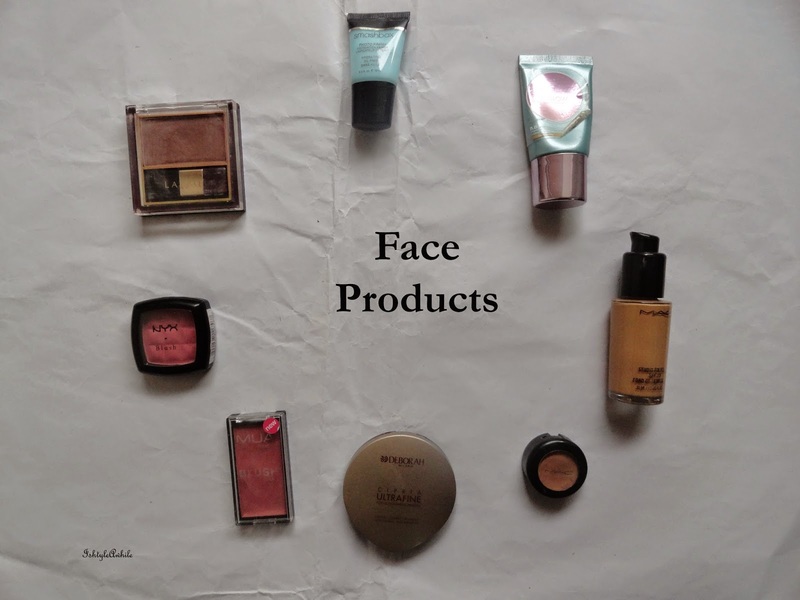 The products include stuff that is in my Project Pan, new stuff to review and old gems that I am trying to rediscover. At the end of the month I will have a bunch of looks put up that I created using these products and also get out reviews during the course of the month. I might use some other products at times in case of some special occasion, but I am going to try not to. 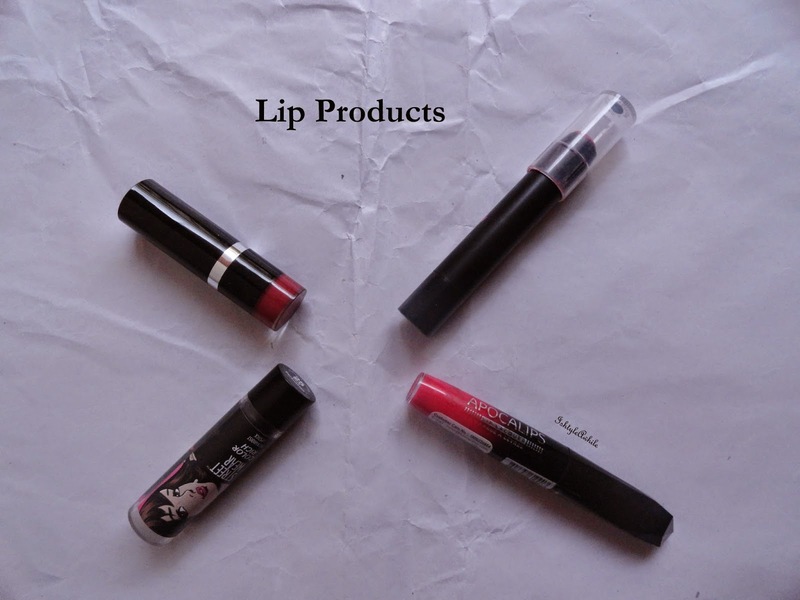 Here are the products that I will be using this month. 7) NYX Blush in Mocha. The foundation, concealer and compact will not be changing for a very long time. I don't use multiple foundations. I have like one more. That's it. Same for compact. 12) NYX Eye pencil in Bleu Roi. 14) Avon Glimmerstick in Flashy Copper. 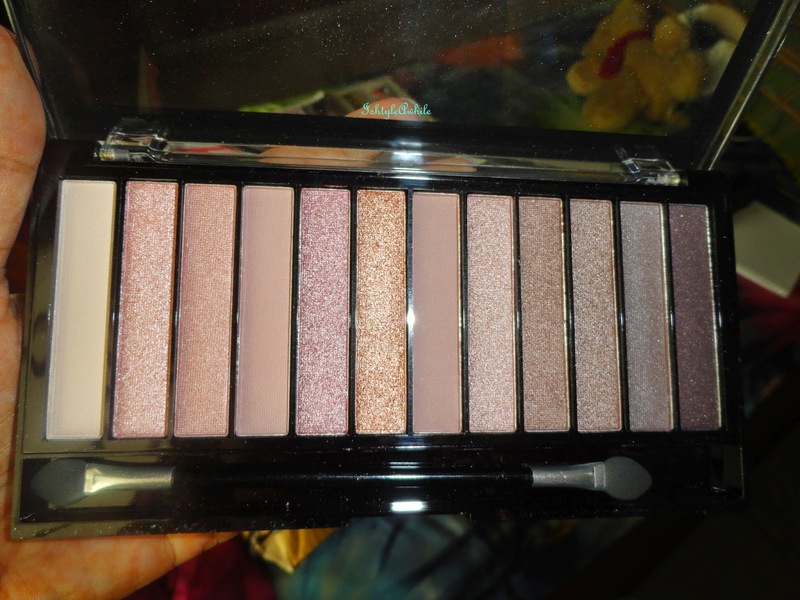 26) Makeup Revolution London Redemption Iconic 3 palette. This may get featured often in my monthly baskets because I own very few palettes. I think I own only 3. Okay! So that list was waaay longer than I expected but I wanted to keep options open for this month. I do like varying my look a bit. Also we have festivals coming up this month so I wanted to be able to do different looks. If you follow me on Instagram then would have already seen a couple of makeup looks that I have done using this month's basket. 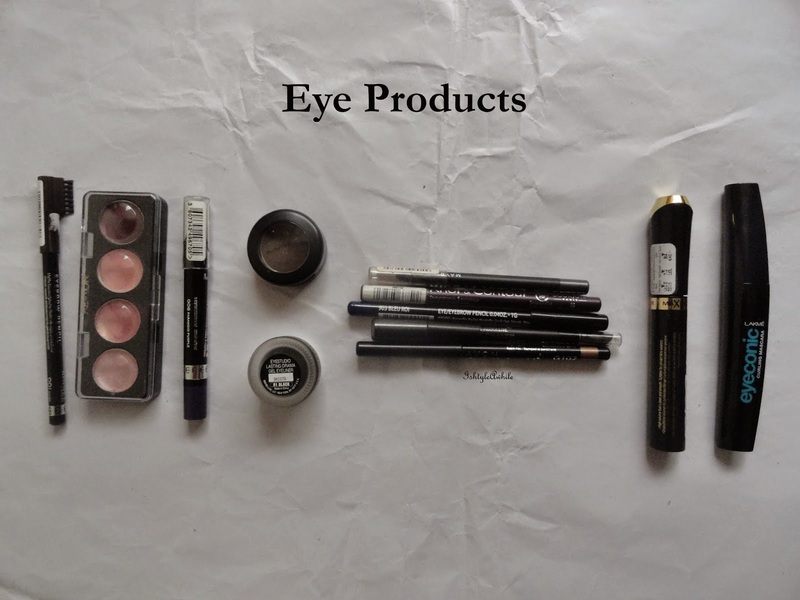 Click here to see a traditional makeup look featuring these products. So what do you plan to use this month? 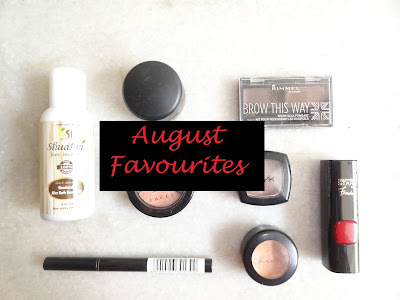 Monthly Favourites: August 2015 Favourites. 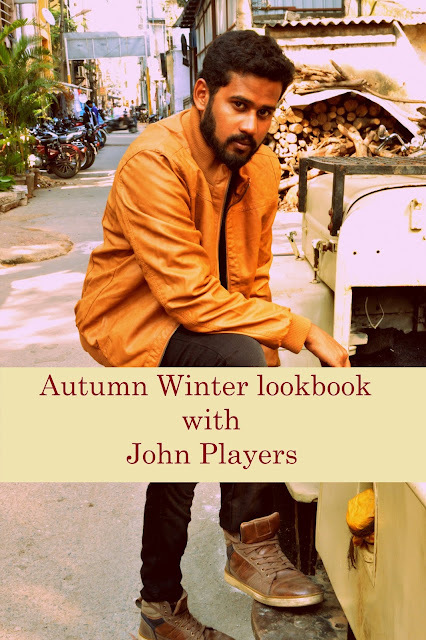 My experience at the ASUS Indiblogger meet at Bangalore 2015.